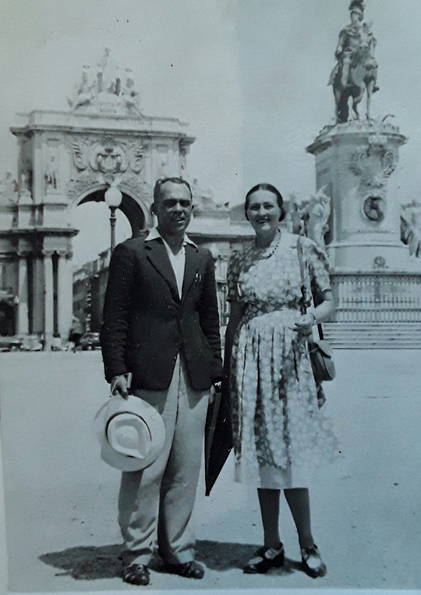 Dorothy and Charles Johnman are remembered as remarkable figures who contributed in their various ways to the cultural history of Stellenbosch. 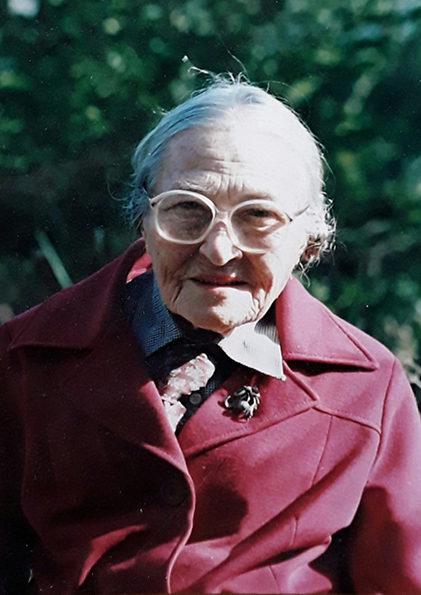 Dorothy Radloff was born in Kimberley in 1906 but the young family came to Stellenbosch when her father died before her first birthday. From that early start she lived in Herte Street, where her maternal grandparents already owned several properties. She turned out to be a lifelong resident of Herte Street. The family home at 8 Herte Street was given the composite name ‘Camido’, after Dorothy and her two sisters, Catherine and Mildred (‘Millie’). 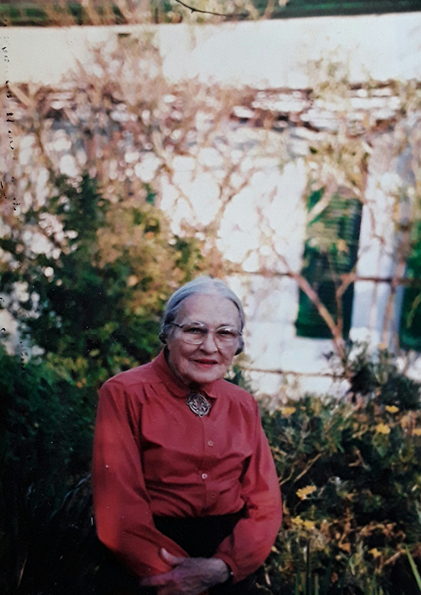 Dorothy was a descendant of some of the Rhenish missionary families, such as the Hahn and Radloff families, whose traces are still found in the Rynse Kerk on the Braak, as well as at the former Rhenish School (now PJ Olivier Art School). Dorothy’s maternal grandfather, Reverend Hahn, who lived in Herte Street (now the site of the Pieke Flats across from the Johnman Music Centre) is known to have purchased some of the semi-detached houses in Herte Street. These houses had been built by Catherina Frederica van Nuet Onkruidt in the early 1800s. Hahn leased some of these properties to persons who had presumably been declared free slaves. In her young adult years, Dorothy, even though she was a woman, was the one who inherited the Camido property, together with a number of other houses in Herte Street. 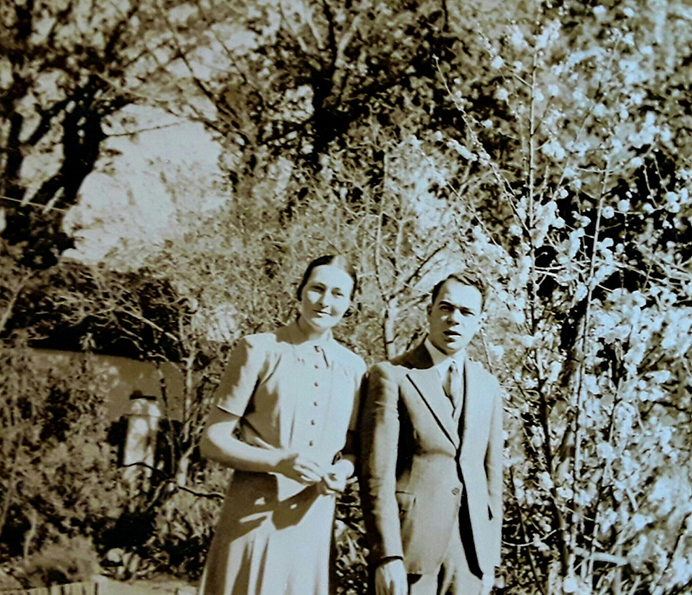 In collaboration with the Erskines of Ida’s Valley and Professor Frans Smuts, she and her British-born husband, Charles Johnman, purchased and restored several houses which were falling into ruin in Herte Street. These houses have all since then been declared historical monuments. The preservation of buildings in Herte Street, as part of the historical core of Stellenbosch, is a legacy which, to this day, draws tourists to the town. Dorothy and Charles had no children. 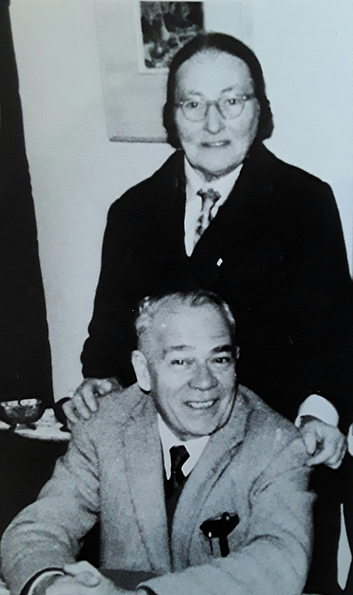 After Charles died in 1978, and on Dorothy’s passing nearly 20 years later, their vision was passed on to the next generation though a testamentary trust set up in order to establish and maintain a Music Centre in their home, as well as to continue the upkeep of the adjacent houses in Herte and Schroder Streets that belonged to the Johnman family. Dorothy and Charles Johnman’s gift of a music centre in a Victorian setting, intended for future generations of musicians, preserves a particular architectural and cultural aspect of local heritage, and provides a glimpse into the urban and horticultural setting of colonial life from as long ago as the 19th Century. The AGA stove in Dorothy Johnman’s kitchen attests to winter evenings spent at the hearth. The shady patio with hospitable table at the backdoor reminds of summer gatherings with friends, colleagues and students that the couple are remembered for having hosted frequently. 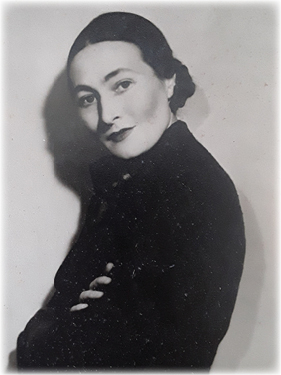 Dorothy was a cellist who trained under Hans Endler (who taught at the Stellenbosch Conservatoire), and she also received tuition from the Royal School of Music in London. Thereafter, after training in eurythmics in Switzerland, she taught music and eurhythmics at several schools in Stellenbosch. 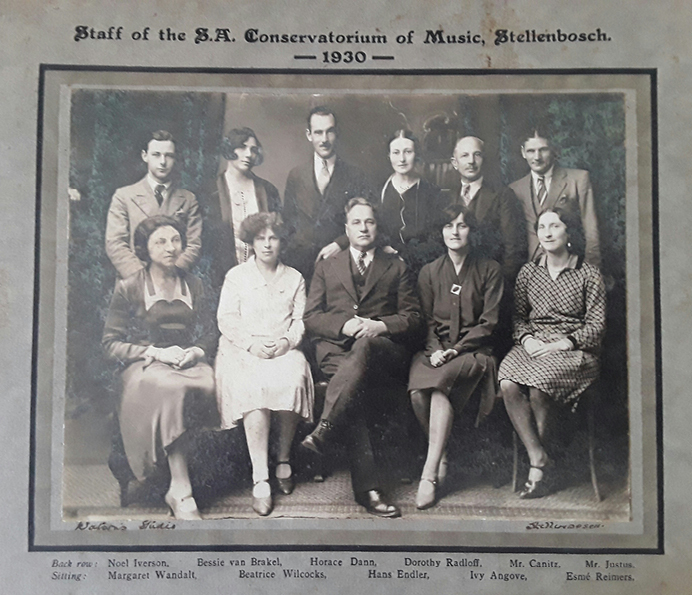 The Johnman couple’s avid interest in music blossomed in the founding of the Stellenbosch Music Society, and in the symphony orchestra concerts and chamber music recitals that they helped to organise at the Old Conserve in Van Riebeeck Street. 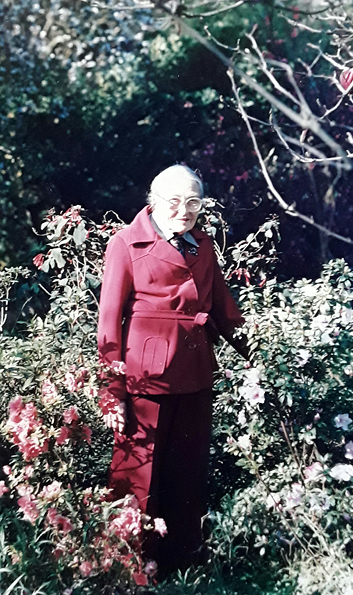 For almost seventy years Dorothy provided and arranged the flowers for the stage at concerts in the both the old, and ‘new’ Conservatoire in Neethling Street, mostly using the flowers from her own garden. She is remembered in particular not only for her small Morris car filled with flowers, but also for heart-warming welcomes extended to new musicians who relocated to town, as well as for her prominent views on gender equality and the right of women to inherit property, and own and engage in business, as the story of Camido and its adjacent Johnman-owned properties perhaps attests to. Charles’s forebears had been in the rope-making business, firstly in Wales, then relocating to London, where Charles was born in 1913. 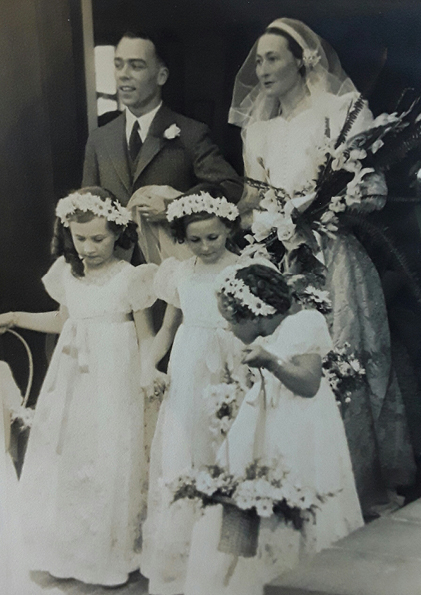 When rope-making drew the family to South Africa, after World War I, they made their home in Natal, where Charles grew up and studied the Classics and English with a view to teaching. As a young man he arrived in Stellenbosch to teach the Classics, first in Cape Town and then at Paul Roos Gymnasium in Stellenbosch, before he was appointed as the head of the English Special section of the English Department at Stellenbosch University. His marriage as an Englishman to a young German woman, in the face of Anglo-German belligerence, perhaps signifies some of the cultural breadth that the couple’s alliance demonstrated. 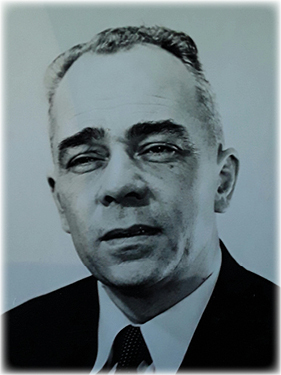 Charles Johnman was passionate about literature, music, film and drama, and assisted in founding the Little Libertas Theatre, formerly at the Bergzicht Plaza in Stellenbosch. He is known to have produced many plays, and helped host visiting artists who performed at the theatre. He is remembered as a warm, genial and compassionate person who served others by a weekly loan of books from the Public Library, delivered to homes for the elderly. Charles also managed a film society and gave talks on literature to cultural interest groups.